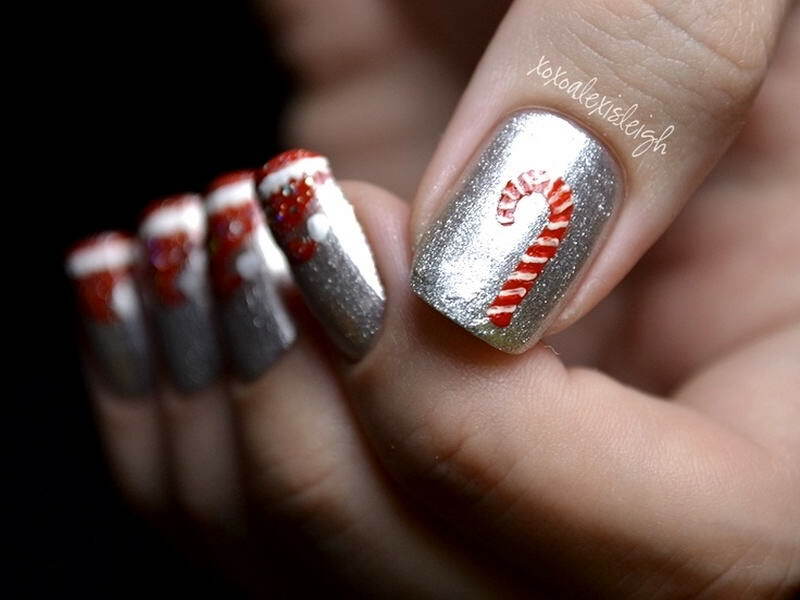 Who Wants To Try These Candy Cane Nail Arts? Are you having any parties in near future? Is it for Christmas or a birthday party? Or is it that you are in a craving for some sweet candies? 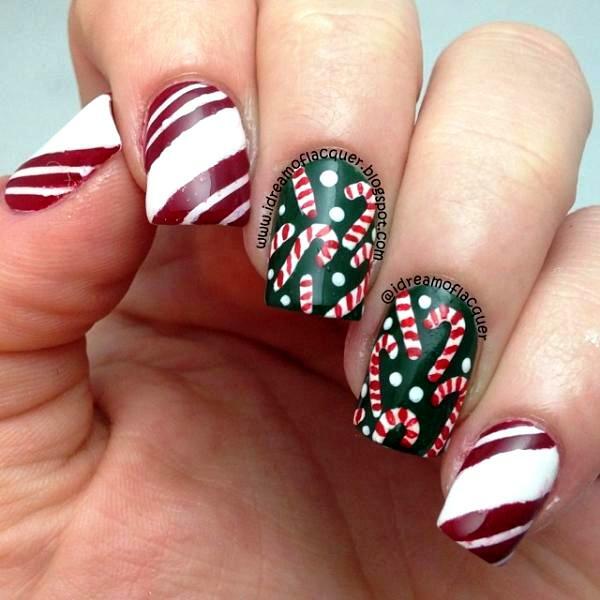 Then you can definitely try these candy cane nail arts which will give you a thought of having them on your hands whenever you want! 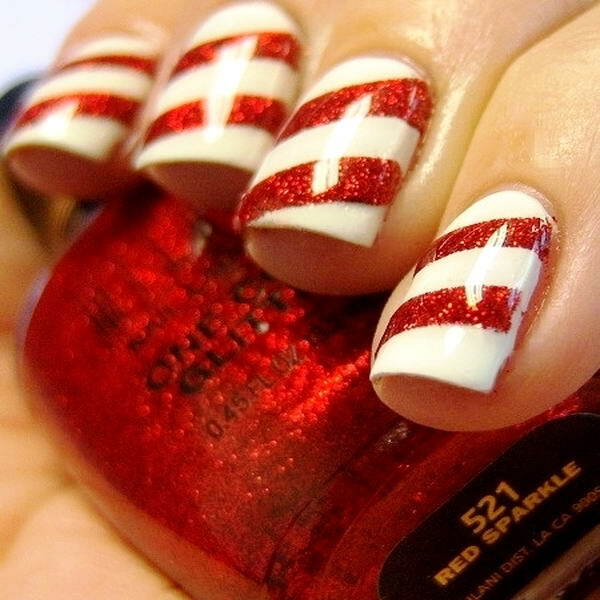 Candy cane nail art is a holiday favorite which is a very festive design. It also has a chicy look because of its hot and cute colors. 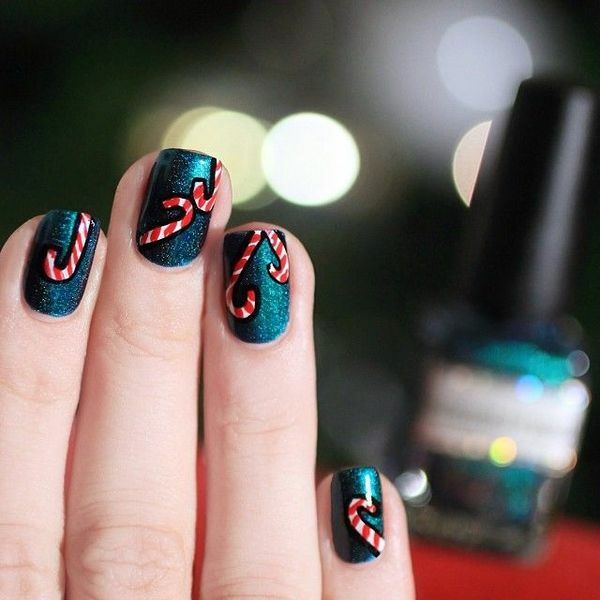 Anyone can try these candy cane nail arts for any upcoming party. It is a very easy one that can be done within no time. 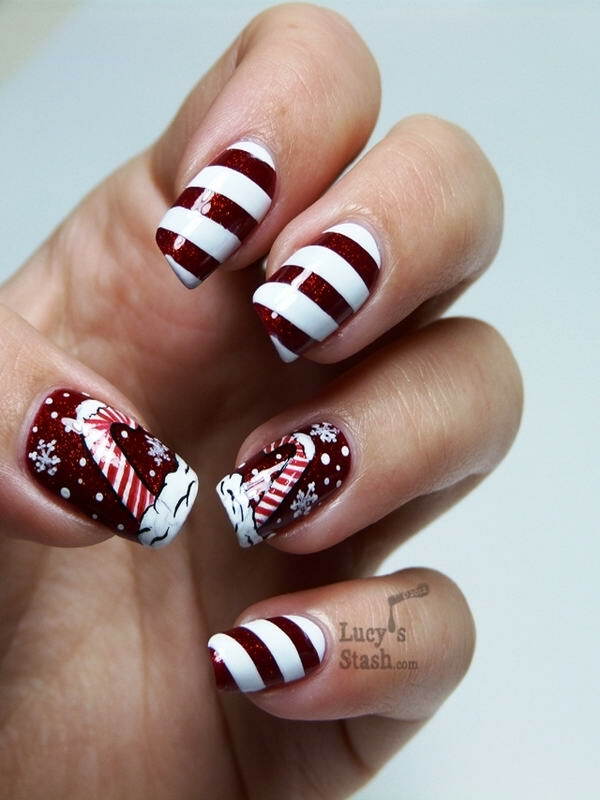 There are many variations of candy cane nail arts. You can start with the simplest one to give it a try. Once you are done with the easiest one, you will try more as it is a fun and interesting nail art. For this nail art, you will need the required color of nail polishes and the necessary tools depending on how much time and effort you are ready to give. A paint brush, tape and dotting tools are the main things you are going to need. If you don’t have a dotting tool, you can use a toothpick instead. 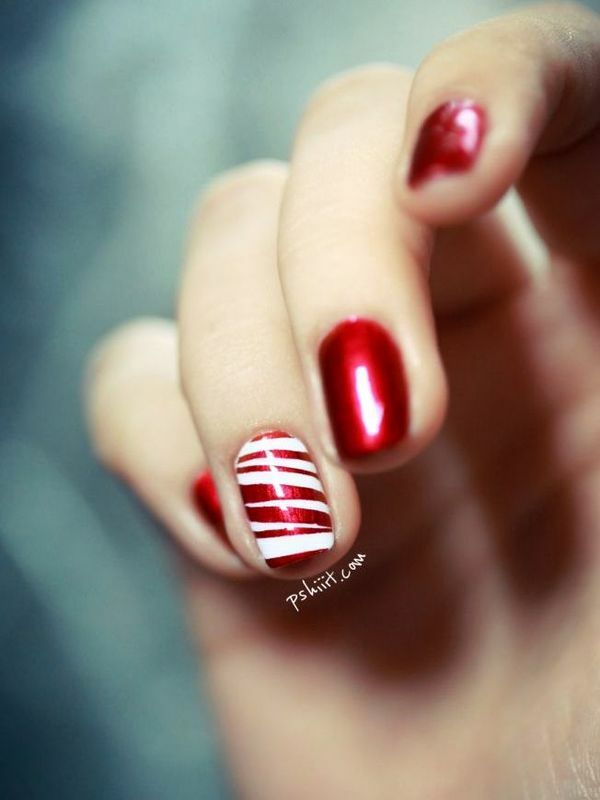 The first and the easiest design of a candy cane nail art are to have stripes in different directions. The most common color for this nail art is red and white. You can also add green to make it more interesting. It is not that there are no other colors in a candy cane. But the red and white one is the most popular for this nail art. Now, if you are going to have these stripes, you will need stripe rolls or a tape. At first, you will need to apply a white base coating. Let it dry completely and apply the tape or the stripes according to the size of the lines as you want it to be. You can make them straight on any direction or create random lines. After that, you will need to apply the red nail polish over your nail and apply it twice to make it sure that it has filled the area that is to be in red. You can choose a plain red color or a sparkly one with glitters. You can also choose green instead of the red but the red one will resemble more that is a candy cane nail art. When the red polish gets dry, pull off the tape or the stripes and check the nail art. It is beautiful, isn’t it? You will just need a top coat on it to make it all done. This is what you can do for the simplest one. You can have mix and match by making a variation with green, red and white color. You can have plain colors on few nails and stripes on others. If you are interested to do more about candy cane nail arts, you can try to draw candy canes on your nails. To do this, you will need a dark and glossy color on the base coat. Silver, green or red are the most gorgeous colors to try a candy cane. 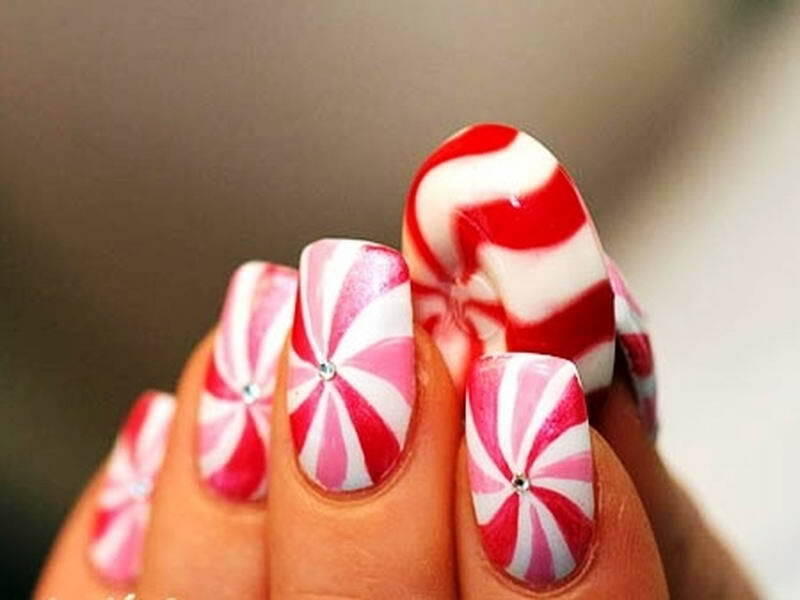 Next you will need a thin brush with a white polish to draw the shape of the candy cane on your nail. You can have a single one or more if you want. Now use a toothpick or a dotting tool to apply the red dots on the candy cane. Adjust the distance of the dots to make it a perfect one. After it has got dried, apply a thin black outline using a black nail polish. It will make your candy canes more visible! If you are not satisfied with our own work, you can always try nail decals or accents. 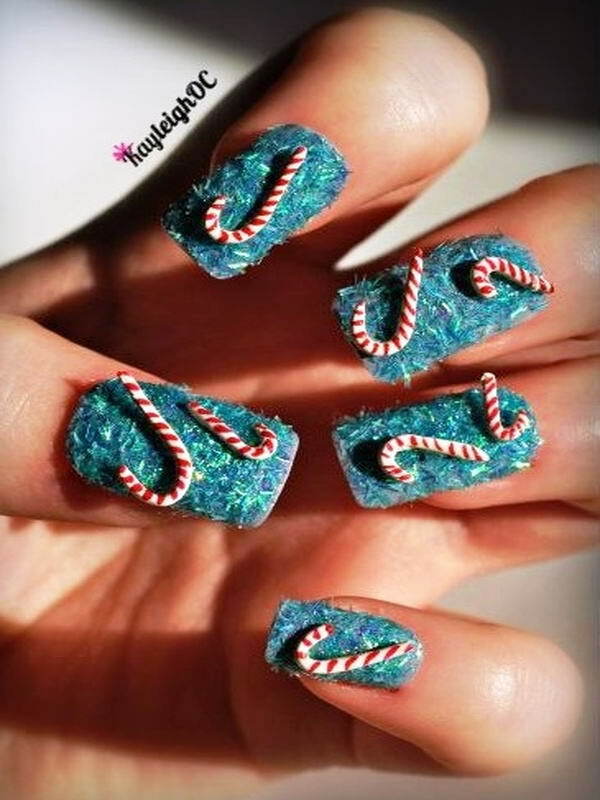 But you will miss the fun of the creative things you can do on your nails with this yummy candy canes! So have you selected any design yet? 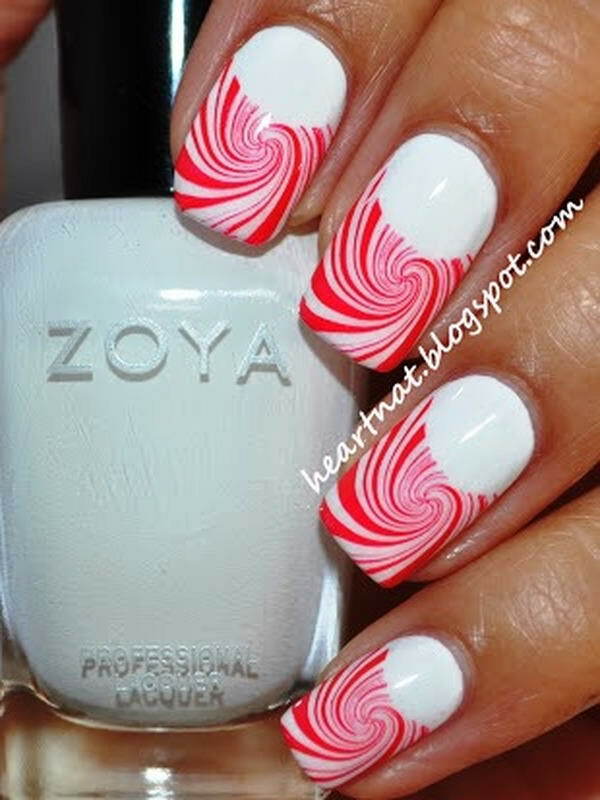 Have the best candy cane nail art on your nails for the next party you are going to attend!